Our sincere thanks to executive director Wanda Jewell and the Southern Independent Booksellers Alliance (SIBA) for this guest contribution, full of outstanding insights if you’re keen on breaking into indie bookstores! First, a disclaimer. Whatever the subject of your book, however long you’ve labored over it, and as wonderful as you’ve been told it is by friends and family, there is no guarantee that a bookstore will choose to sell it. Booksellers are inundated with catalogs and solicitations on a daily basis. Buying decisions are based on booksellers’ experience and knowledge of their customer base, but other factors can also exert influence — price of the book, space in the store, even money in the bank. So don’t expect an independent bookstore to stock your book just because you live down the street or because your writing group loved it. That said, here are some ways to maximize your chances. First and best idea, be a regular customer at your local bookstore. Let them know you are a reader and a writer. Buy books from them, talk books with them. This goes a long way when you need something from them! 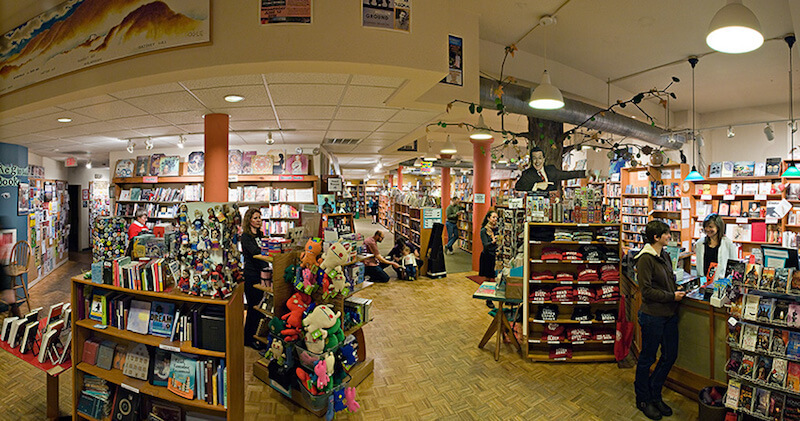 Get to know your neighborhood bookstore. Be a regular customer, attend their events, and become a familiar face. SIBA has over 100 independent bookstore members throughout the south, all with distinct personalities and communities of readers. Many are specialty stores that sell subject-specific titles (Travel, Children’s, Metaphysical, etc.). With that in mind, do some research before you approach bookstores. Visit stores in your area and note their clientele. Do their customers look like potential readers of your book? Bookstores arrange titles largely by category or subject matter. Where would your book be shelved and is that a strong section in the store? Just as it is a good idea to get to know your local banker when you need to take out a loan, it’s a good idea to get to know your local bookseller if you’d like them to carry your book. Every store has at least one book buyer; larger stores may have several. Some bookstores require you to make an appointment; others will often see you on a drop-in basis. Your first step should be to identify the store buyer. A phone call is usually all it takes — ask for the book buyer. Be persistent, polite, and patient—booksellers are as busy as you are. Be prepared to briefly describe your book and in which section(s) it might fit. Have a brief “elevator speech” summary of your book ready in advance, and be ready to go into more detail if you are asked. If the buyer’s not there, find out when she or he will be in the store so you don’t waste a trip. Of course, if you are a regular customer, you probably already know the buyer by name. 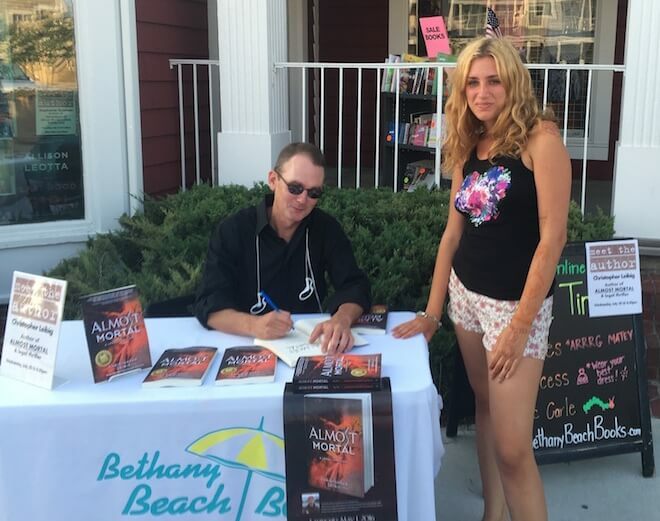 Promote your book signing to bring a crowd to the bookstore – Bringing in customers and selling books is how you build solid relationships! When you do meet with booksellers, they’ll want to know if you’re doing any promotion (not the store’s job) and how the book is being distributed. Having a ready-made marketing plan to show will greatly increase your chances of convincing the store to carry your book. Distribution is another big hurdle, especially for self-published authors. Your book has to be easy to order, and easy to return. Is the book stocked by a wholesaler like Bookazine, Ingram and Baker & Taylor? Or are you distributing it yourself? If you are handling distribution yourself, how will you make it easy for the store to order it? Many bookstores will offer consignment, and if you’re self-published, we urge you to consider this option. You have a much greater chance of having your book stocked if you agree to leave copies on consignment. Some stores have consignment forms, but it’s good to bring your own. Also, if your book is print on demand only, bookstores won’t order many because POD books often can’t be returned. A 60-40 split on the sale of the book is standard (you get 60%), but some stores may have a different policy. It is extremely unlikely, however, that any store will be able to stock your book, even on consignment, without earning at least 40%. Also, you will probably be asked to check back with the store about sales, usually in 3-6 months (NOT every week!). If the book sells, great. If not, be prepared to take it home. Listing only Amazon on your Web site as a purchase option. SIBA strongly encourages authors to choose an independent bookseller or two as your store of choice and become an affiliate of those stores. Not only will those bookstores love it, but other indie stores will praise your commitment. We even offer a membership trade. Citing your Amazon sales rankings, or sales figures for competing big box stores. Telling the store that you’ve sold the movie options for your book. Complaining about the turnout or lack of sales at an event. Keep in mind you can have a big influence over the staff’s feelings about your book and what they recommend. Sell them on you and your book. Scheduling an event at one store, and then another, at venues that are less than five miles apart. During an event, announcing that everything you ever wrote is available on Amazon.com or for download on the kindle. These sales are closed to indies. Don’t rub it in. Be nice. Indie booksellers can be your best advocate. 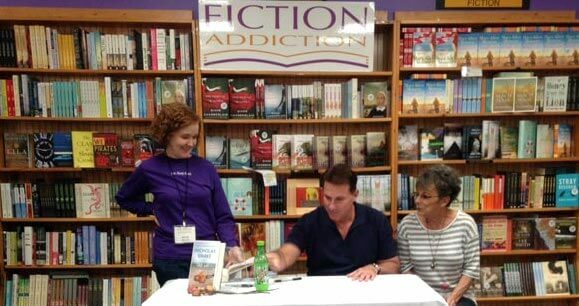 Authors Mary Alice Monroe and Bren McClain at Charleston, SC’s independent bookstore, the fabulous Buxton Books! JOIN SIBA as an Industry Member. Dues are $195 annually, and membership benefits include the ability to participate in many of the programs below, as well as reduced rates on advertising and registration fees. INTRODUCE YOURSELF. As a member of SIBA, you can receive a complete contact list of all of SIBA’s member stores on demand—including contact names, email addresses, phone and mailing addresses. You can use this list as the foundation of your own marketing plans by creating mailing lists and address labels. Once you have the labels; what do you mail? Obviously, a copy of your book is one option, but it’s not the only or even the best one. Some publishers send a flyer or brochure that introduces the book and features (if available) reviews and comments. 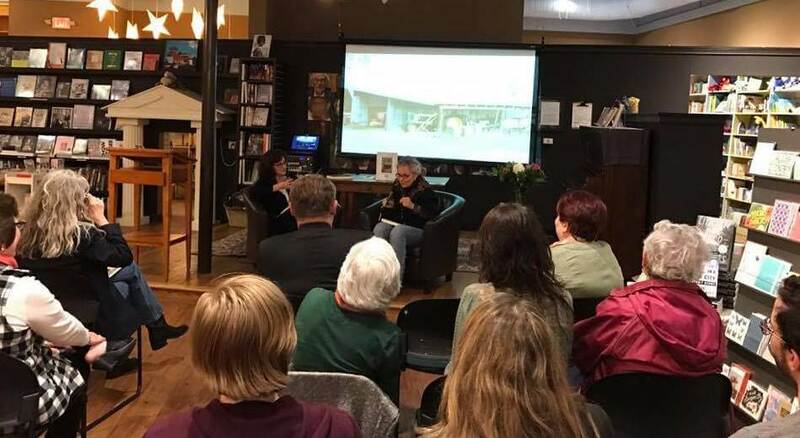 Bookstores also like to hear about other independent bookstores that may be carrying the book but are less impressed that chains or online outlets are stocking it. You could also offer to send a copy to interested parties. You can email stores information about your book. Email is easier and cheaper, but it is also less often opened and read, so be prepared to design your email campaigns to appeal to stores in such a way they will want to open and read what you have to say. Also recognize that booksellers get lots of mail. Anything you can do to make your mailing stand out is helpful. If you can follow up later with a call or an email, all the better. 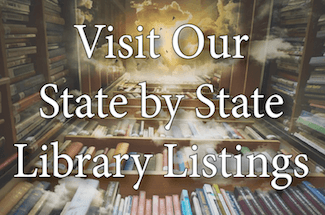 BE A STAR: SIBA operates a speakers’ bureau for authors, the Southern Traveling Authors Registration Service (STARS) that is marketed to bookstores and their customers. As a STARS author, you can send announcements to SIBA stores you are interested in visiting for events and readings. Stores and consumers can also make direct requests to you. But you need to be a member of SIBA to participate. ADVERTISE: SIBA has a wide variety of very cost effective advertising options for authors that can target bookstores and their staff, as well as consumers. eBlasts, banner ads, sponsorships, catalog listings, galley giveaways…we work with authors to help them create the biggest impact possible for their book while remaining in their budget. COME TO THE TRADE SHOW: The annual Southern Independent Booksellers Alliance Trade Show and Convention is the largest regional book show in the south, attracting hundreds of booksellers, exhibitors, and authors. A good number of our show exhibitors are small publishers or individual authors who find the show an ideal venue for showcasing their books to the independent bookstores and networking with industry peers. They bring copies of their books to pass out, promotional materials, and of course, order forms (books are not sold at the show). SIBA works with first-timers to make the show as useful and productive as possible. SIBA supports and collaborates with the American Booksellers Association(ABA) on projects, activities and services that benefit independent bookselling. Marketing opportunities for authors are also available through the ABA’s IndieBound program; information is available at www.bookweb.org. NOTE: There nine other regional bookseller associations, all offering services and links to independent bookstores, so if the southeast isn’t your market, we encourage you to connect with the most appropriate association(s). 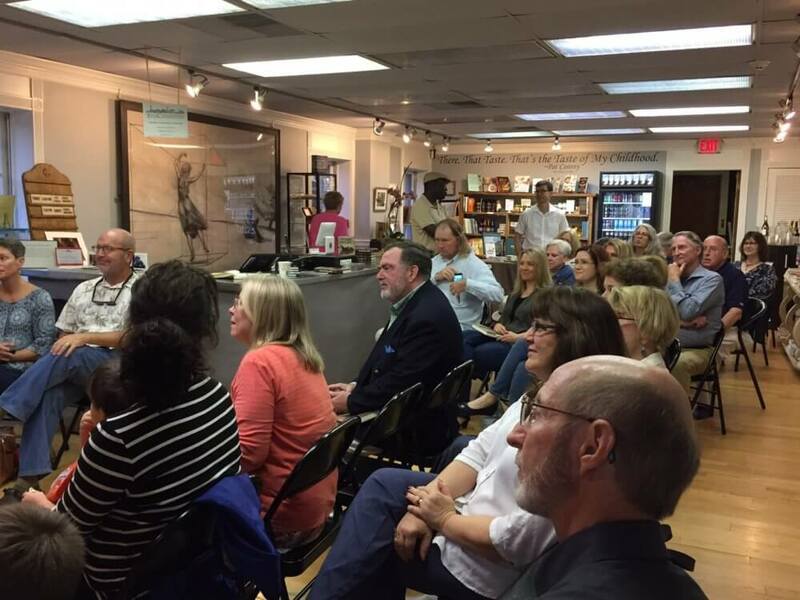 The One Good Mama Bone Barnstorm Tour is the IDEAL example of a fabulous indie bookstore tour – thanks, Bren, for showing authors how it’s done!